Notice that we didn't use the height in our calculation. Notice that we didn't use height in our calculation. 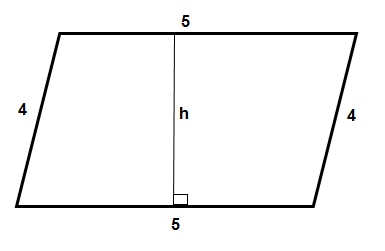 Find the area of a parallelogram with base length and side length . 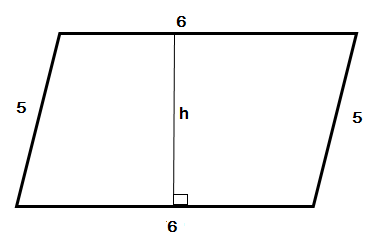 The area of a parallelogram with height and base can be found with the equation . 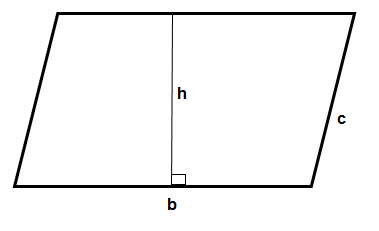 However, while we have been given the length of the base and of another side of the parallelogram, we still do not know the length of the base. Therefore, we do not have enough information to find the area. 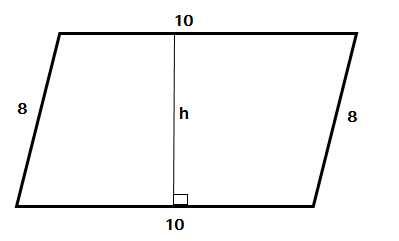 Find the perimeter of a parallelogram with a height of , a base of , and a side of length . 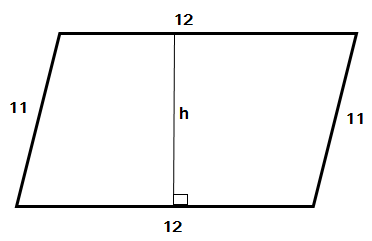 Find the perimeter of the parallelogram if h= , b= , and c= . Notice the height isn't used in this calculation. Keep in mind that the sides directly opposite of each other are of the same length. This is why we have and appearing twice in our work. University of Pittsburgh-Pittsburgh Campus, Bachelor in Arts, English.